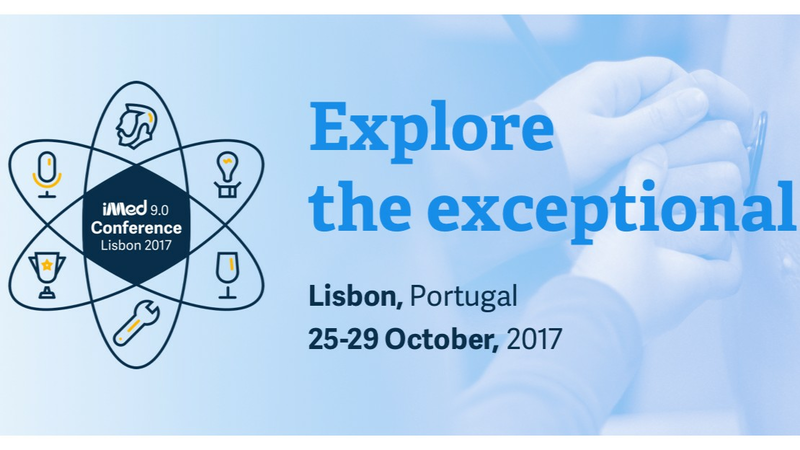 The iMed Conference® 9.0 | Lisbon 2017 took place between the 25th and 29th of October at Teatro Camões and NOVA Medical School | Faculdade de Ciências Médicas. Discover what is like to hold someone's heart in your hands, to be a pioneer in your medical speciality, how to follow the lead of the ones who are making our world a better place, and much more! Scientific Lectures: Medical Sexology, Innovative Approaches, Surgery and Critical Care and Cardiology. Keynote Lectures: Professor Eric Wieschaus (Nobel Lecture) and Professor Sir Ian Wilmut. Humanitarian Lectures: Dr. Tawfik Chamaa and Dr. Louisa Chan Boegli. iMed Sessions: Doctor Maria Palha, Gary Edwars and Doctor Filipe Pinto.